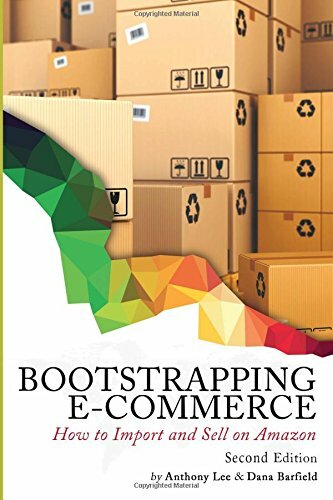 Когда товар "Bootstrapping E-commerce: How to Import and Sell on Amazon (Revised 2018 Edition) — Anthony Lee, Dana Barfield" появится на складе, Вам придет уведомление. New Revised 2018 Edition includes step-by-step instructions for navigating the current Amazon marketplace, including: - The best way to select a product (keep the emotions out of it!) -A master formula for product selection -15 key steps that will prevent you from choosing the wrong product -How to mine your competitor’s websites for valuable keywords -More email templates for connecting with new suppliers -And many more of the dirty details you have to know about - like how to download your FNSKU labels, figuring out the right HS code for your product, and testing and retesting your listing It’s all in the newest edition of Bootstrapping E-commerce: How to Import and Sell on Amazon! Do you want to know what it’s really like to sell on Amazon? Have you thought about starting a business on the multi-billion-dollar marketplace but don’t know where to start? Do all the selling experts bragging about an easy six-figure business sound too good to be true? Anthony Lee is a former bartender who launched himself into the importing and selling game with nothing but a handful of credit cards and a determination to not quit no matter what. This is his first-hand, unfiltered, very honest account of what it’s like: the good, the bad, and the seemingly impossible. Anthony reveals, step by step, everything he went through to get his business off the ground and selling six-figures, including his many mistakes. He is the first to say that there is nothing easy about this business and hindsight is 20/20. Here is his hindsight so the next enthusiastic entrepreneur can effortlessly cross the gulfs that can be deathly to a newbie seller. Anthony and his business partner, Dana Barfield, will hold your hand until you have your business up and selling. You’ll learn: •How to find a lucrative private-label product that you can be passionate about promoting and selling •How to find an overseas supplier and negotiate a deal •What to do about branding •How to facilitate production and get your product from there to here •How to navigate through all the logistical details along the way •How to set up an Amazon listing that brings in thousands of interested buyers and launches you to the top of the rankings •Anthony’s no-fail formula for promoting your product! Next Steps exercises hold your hand through each step, so by the time you finish this book you’ll be selling on Amazon and earning an extra $1,000 to $10,000 a month in income. How much is up to you. Let’s get started!